This comprehensive review of the health of Native Americans in Canada and the United States presents historical trends in population and health status from pre-European contact to the present day. These are examined in terms of three groups of diseases: infectious diseases, chronic diseases, and injuries. The author discusses the etiology and pathogenesis of different diseases in each group, and considers the genetic and environmental risk factors involved. The incidence of disease among Native Americans and non-Native Americans are compared and variations among Native Americans belonging to different geographical, cultural and linguistic groups are examined. 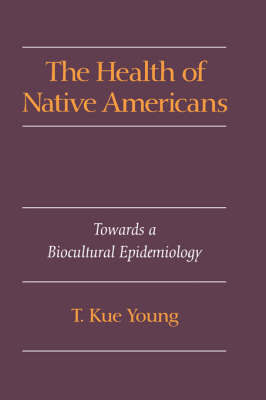 The Health of Native Americans integrates anthropology and epidemiology to demonstrate the interaction of biology and culture on disease causation, distribution and control offering a promising approach to understanding and improving the health status of Native Americans.